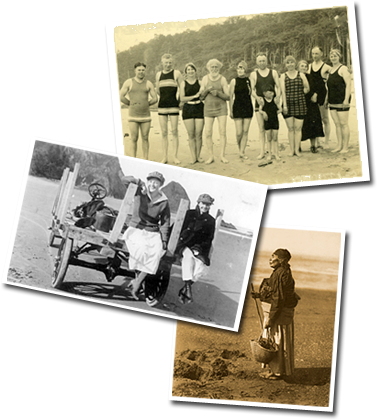 The Museum was organized for the purpose of preserving the history of Cannon Beach by seeking, collecting, and protecting historical memorabilia of all kinds, by recording oral histories, and by making these materials available to the public whenever possible. We invite you to explore our many programs and resources for historical study, read our newsletters, get the stamp of the Tillamook Rock Lighthouse, learn how you can volunteer or support the Museum, view historic Cannon Beach photos, or shop history in the online gift shop. Stop by for a visit to the Museum, located on the corner of Spruce and Sunset in Cannon Beach, and let a little history into your life. Open Wednesdays through Mondays from 11:00 a.m. – 4:00 p.m. Closed on Tuesdays. The Museum is FREE, but donations are gladly accepted. Sea Otters of Oregon: A Missing Keystone Species :- Monday, April 22, 2019 at 4:00 p.m.